Please note that ROM version 7.8.24 is a Beta version. While ROM MIUI 9 Global is still Beta, but ROM China is now almost a full version and ready to be presented to the latest smartphone Xiaomi. For those of you who want to update only requires MIUI Updater application if your device is already running MIUI 8 Global Beta ROM. While for devices that still run MIUI 5, MIUI 6, MIUI 7 and MIUI 8 Stable ROM version must go through fastboot route for flash ROM. So, is your device one of them? 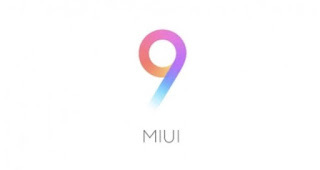 MIUI 9 is highly anticipated thanks to several new features it brings, including Smart app launcher, image search, and Smart assistant. Even CEO Xiaomi also promised that MIUI 9 will be smoother and smoother.